It was the second conflict between India and Pakistan. The 1965 war! The first, the Kashmir War took place in between 1947-49. Ever since India attained independence, bitter relations ensued between the two countries. Thanks to Jawaharlal Nehru’s policy of transferring the Kashmir issue to the UN despite Sardar Vallabhbhai Patel’s repeat suggestion of resolving it without foreign aid. Using his exemplary skills, Patel had forced all the 550 small princes and zamindars to surrender and accede to Independent India, even going to the extent of using military force. Who is paying the price for Nehru’s fault? Our soldiers by laying down their lives in war! What about the martyrdom of our soldiers at the Kashmir border fighting against terrorists everyday? 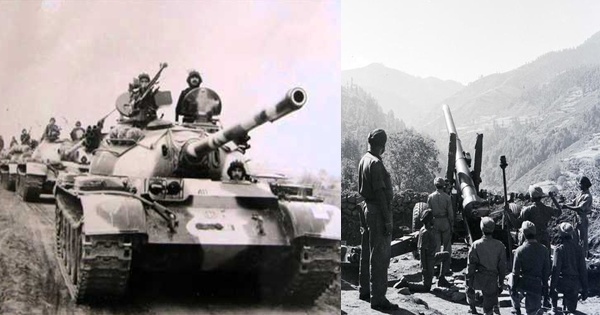 In the 1965 war between India and Pakistan, around 2,862 Indian soldiers were martyred, as per reports. Harsh terrains, high altitude, and worse climatic conditions did not deter the spirits of our soldiers. They marched ahead, to win or perish. The war affected many people in the border areas of Kasmir with hundreds of families leaving their homes and belongings and moving to safer areas. What caused the 1965 war? Pakistan was the first to launch an attack. It launched a covert offensive under the banner of ‘Operation Gibraltar’, pushing around 30,000 fighters across the ceasefire line into Indian-administered Jammu and Kashmir on 5th August 1965. India hit back by crossing the international border at Lahore. Over 100,000 Indian soldiers were deployed. And war took place on the western front. This war witnessed the largest engagement of armored vehicles and the largest tank battle after World War II. It also saw aircrafts of both countries engaging in big time combat for the first time since independence. A major role was played by the Indian Field Guns on the front-lines inflicting major damage on the enemy. The 1965 War, a documentary film by Aditya Horizons Productions LLP revives the memory of the war. It transports the viewers to the actual war! Through path breaking use of 2D/3D animation and VFX effects, this touching documentary depicts battle scenes realistically. This is unprecedented in Indian War Documentaries. This documentary film by Aditya Bakshi is part of a series on The Famous Battles of India. The documentary highlights the reasons and motivation for Pakistan. It was its last chance to seize Kashmir by force. Army Officers very familiar with the military aspects have enacted scenes of decision making on both sides and role played the senior commanders outstandingly. 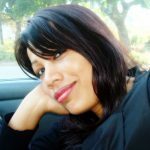 The film was aired on several TV channels – for a week on Aaj Tak followed by India Today, Epic and recently on Republic. The 1965 War documentary by Aditya Bakshi goes into the conduct of battles. It covers the capture of Haji Pir Pass, the battles of Akhnur, Lahore, Sialkot and finally the defeat of Pakistani tank attack at Asal Uttar. The most touching and poignant scenes are about the deaths of Lt Col AB Tarapore and CQMH Abdul Hamid – both PVCs of this war. Due to the courageous efforts of Lt Col AB Tarapore, Indian soldiers could destroy around 60 Pakistani tanks. 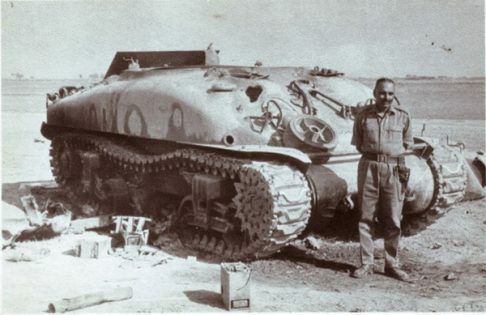 India suffered only nine tank casualties under his leadership. On 11 September 1965, the Poona Horse regiment launched attack on Phillora in the Sialkot sector. Tarapore, who commanded the southern thrust of the attack, advanced on the right flank against heavy armour charge of the enemy forces from Wazirwali. Despite continuous enemy tank and artillery fire from the Pakistani army, Tarapore held his ground and attacked Phillora. He got badly wounded during the attack, but he continued fighting and refused to be evacuated. Subsequently, he along with his troops captured Wazirwali, Jassoran and Butur-Dograndi within a period of 6 days. Tarapore maintained his pivots at these places though his own tank was hit several times. Inspired by his leadership, the troops under him charged at the enemy, destroying approximately 60 Pakistani Army tanks! Tarapore attained martyrdom when his tank was hit and caught fire. Abdul Hamid’s courageous display is worth mentioning here. On one instance, Pakistani forces advanced up to the Khem Kharan sector in Punjab with tanks. The Grenadiers infantry, as per their defence plan, divided into groups and positioned themselves between Asal Uttar and Chima villages on all sides. They had to change positions when the enemy advanced inwards. Pakistani forces repeatedly attacked the 4th Grenadiers position. On 8th September, Abdul Hamid, posted at the 4th Grenadiers position, destroyed two Patton tanks of the enemy. On September 10, 1965 early morning, intense artillery bombardment by the enemy at the 4th Grenadier position did not draw any response. 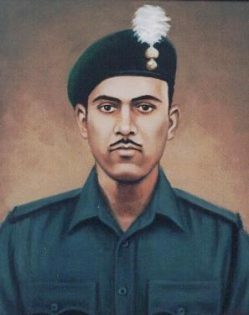 Abdul Hamid was allotted the responsibility of holding the Pakistani forces at Asal Uttar. And then at 8 am, the enemy, supported by Patton tanks, attacked the position. But they could not locate the battalion’s defences. In an hour’s time, they penetrated the forward company positions with their tanks. They were about to reach the battalion defences when Abdul Hamid moved out to a flank with his gun mounted on a jeep. And he fired at the enemy tanks. The enemy shelled tank fire and gun shots at him. Badly wounded, he continued firing and moving forward knocking out three Patton tanks one after another. He was about to knock out the fourth tank when fire from it killed him. 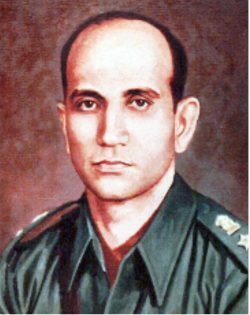 This extraordinarily courageous action of Abdul Hamid inspired his comrades to put up a gallant fight against the Pakistani forces. They beat back the enemy’s heavy tank assault. The war was fought not on one but several fronts, which continued for more than three weeks. 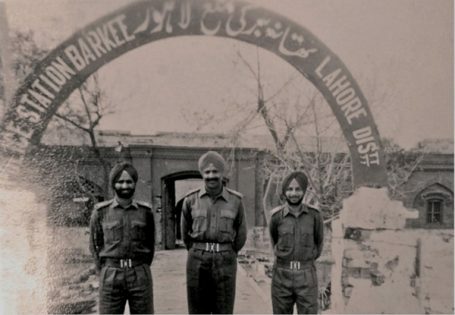 They gave a befitting reply to Pakistan destroying several weapons and vehicles integral to the Pakistan Army deep inside the enemy country besides pushing back the Pakistan Army into Lahore, hoisting the Indian tricolor there and then walking back victorious! India captured the Haji Pir Pass, which was a major victory. Pakistani army made advances in the deserts of Rajasthan and almost took over Akhnoor. The war ended with UN intervention and declaration of ceasefire. The gains were thus not substantial for either side. As per the ceasefire agreement, both countries agreed to withdraw to their pre-war positions. This war resulted in India capturing 3900 sq km of Pakistan’s area and Pakistan capturing over 650 sq km of India’s area. While India claimed 4073 combat sorties, Pakistan claimed 2279. The 1965 War documentary film by Aditya Horizons Productions LLP is a tribute to all the soldiers who fought bravely against the enemy Pakistani forces. The film is a homage to all martyred in the war. My India My Glory salutes the endeavor of Aditya Bakshi and Aditya Horizons Productions LLP in portraying the efforts of the brave sons of the soil. Vande Mataram! Jai Hind! !